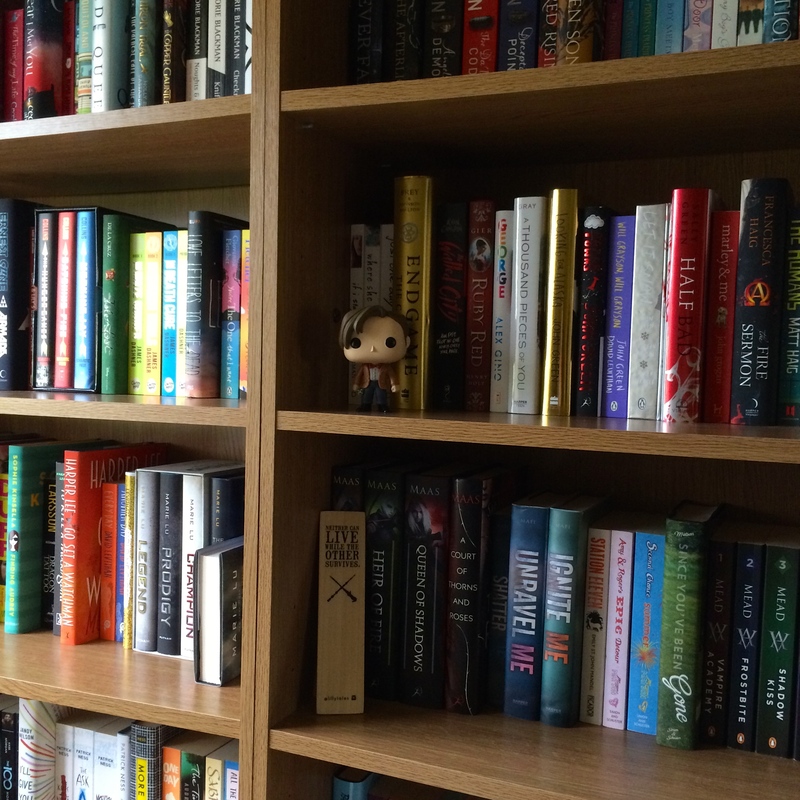 This weeks TTT is all about bookish wishes: a new book from a certain author, a reading superpower, a library that is your absolutely #librarygoals, a character to come to life, to met a certain author etc – you dream it and the book genie can do it! I’d love to have a chat with Jo over a cup of tea about her magnificent world building and outstanding character development, both in terms of Potter and Strike. To put it simply, it sets my teeth on edge when books in a series change cover design and/or size. I’m looking at you “Shatter Me”. For years I’ve fantasied about having my own personal library/study/reading room. It’d be filled with shelves on three walls, with a big window overlooking some outstanding view, which I can curl up in front of and devour my collection. If I could live in a bookish world, it would be the wizarding world. I’d have started at Hogwarts seven(!) years after the Battle of Hogwarts and the demise of Voldemort, and that’s just fine by me! I’m not a slow reader by any stretch of the imagination, but I’d like to be able to whizz through novels and retain all minor details of books, just so that I could get through my private library! The last I heard this is still happening, but Audrey is incredibly slow at releasing books, and I need this book, like right now! There are so many huge events in the USA (granted most of the authors of YA are from the States) and the UK is lagging behind somewhat. It would be a dream come true for me to write a novel and have it published (especially if people loved it). This will always be a dream for me, and I will continue to look at print run information in any copies I come across in charity shops and car boot sales – £30,000 is slightly out of my price zone. I’d love to read about the Marauders whilst they were at Hogwarts, probably more so than the next generation, but I’ll take anything! Yes I totally agree with there needing to be more conventions in the UK. I’m begging every author to come over!